The core competencies of Schloetter are the development of processes, manufacturing of process chemistry as well as plating plants. Traditionally, R&D plays at Schloetter an important role: App 25 % of the employees are engaged in R&D at the headquarters in Geislingen. Among experts, Schloetter made itself a name with product series like SLOTANIT, ZINCASLOT, SLOTOLOY, SLOTOCOUP, SLOTOTIN or SLOTOCHROM. 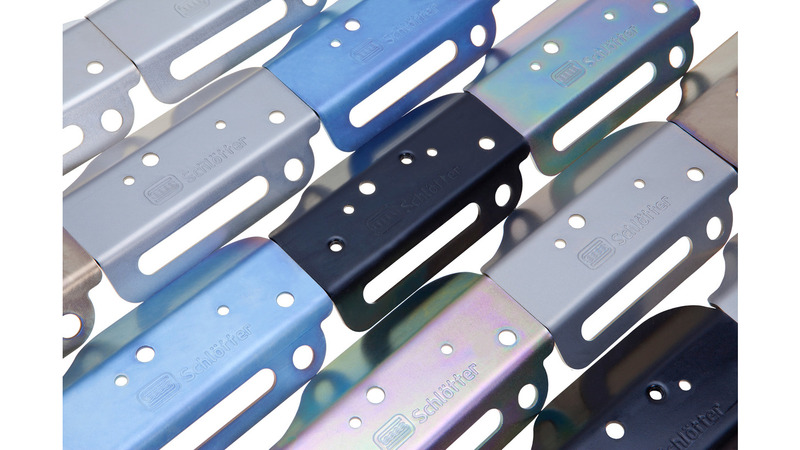 The product range covers a wide spectrum of functional and decorative plating technology. The delivery programme includes in total around 750 different chemical products for the field of corrosion protection, wear protection, decorative layer systems, electronic and PCB&apos;s. 95 % of these have been developed inhouse. The present development at Schloetter is characterized by REACH: The target of R&D is to replace substances of very high concern (SVHC)by less dangerous substances. As the clock ticks for chromium acid towards the Sunset Date in September 2017 so the company focused over the past months on new ways for the pre-treatment of plastics.